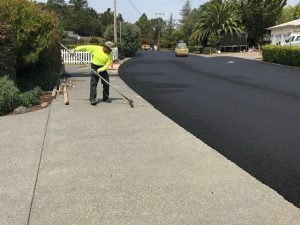 Marin County Paving Projects Archives | Pimentel Paving Inc. 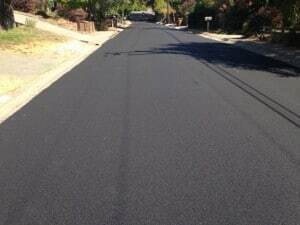 This paving project was an asphalt roadway in Novato, CA, for a whole neighborhood of homes. 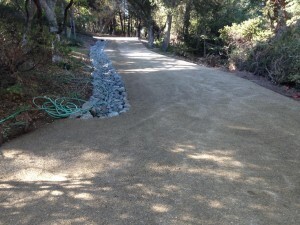 This driveway paving project in San Rafael was for a location on a hill, with an added berm to help direct water drainage. 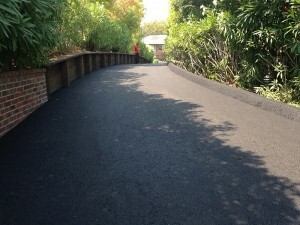 This was a private road paving project, done with asphalt in Tiburon, CA. This residential driveway paving project was done with an asphalt surface meeting on both sides with a rock wall and concrete blocks. 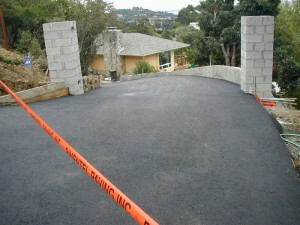 This paving project was a residential multi-unit parking lot in Novato, CA. 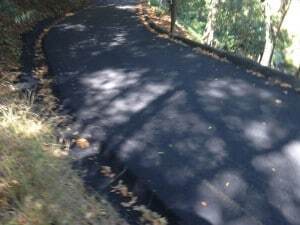 The old asphalt was dug out and hauled away to be recycled. 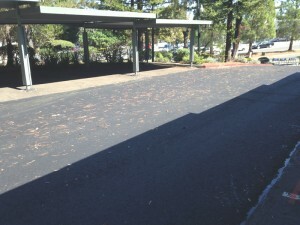 Then we installed and compacted new base rock and built a new asphalt surface. 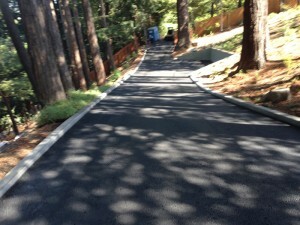 This residential paving project was a fresh asphalt install on a long hilly driveway in San Anselmo. Hills are not a problem! 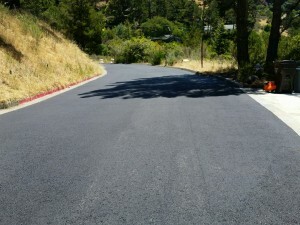 This paving project was a fresh asphalt install on a long curved, hilly residential driveway in Ross, CA. 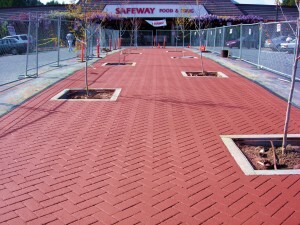 This paving project was a commercial parking strip done with asphalt stamping and ColorBond at the Safeway in Mill Valley, CA.